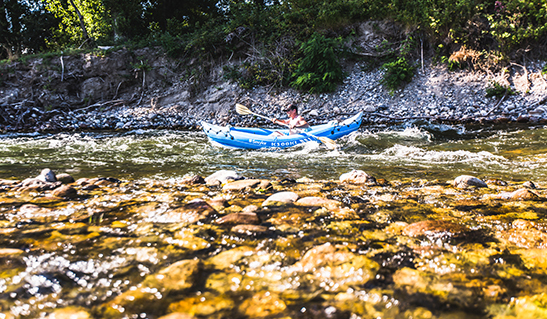 Enjoy our natural aquatic area and our first ever pitches right by the riverside, located only a few metres away from our beach along the River Ardèche. 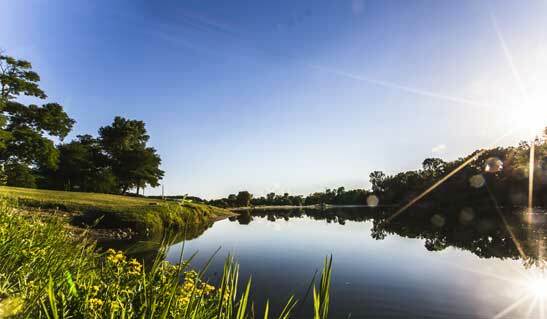 Two grass and sandy beaches over 500 metres of riverside are available just for you. 70 metres of beach are especially dedicated to relaxing. There’s a playground for teenagers and all those wanting to unleash their inner child! 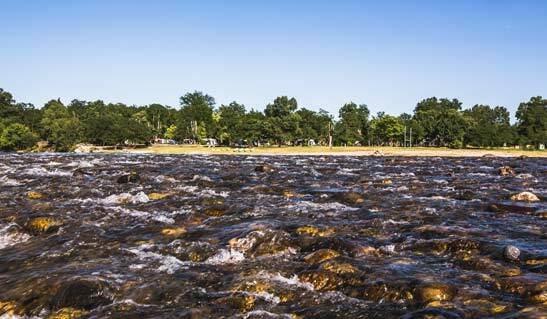 Slide, jump off rocks, throw dinghy races in the rapids, hold canoe duels and engage in many other memorable activities! 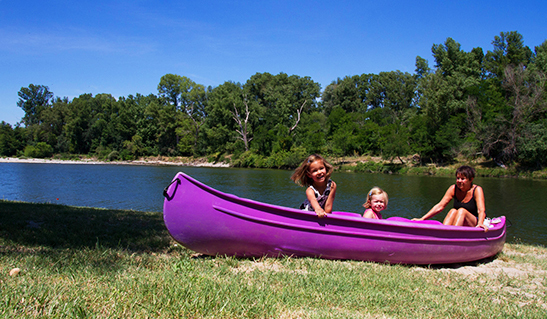 The campsite also provides canoes to allow you to sail through our waterway. 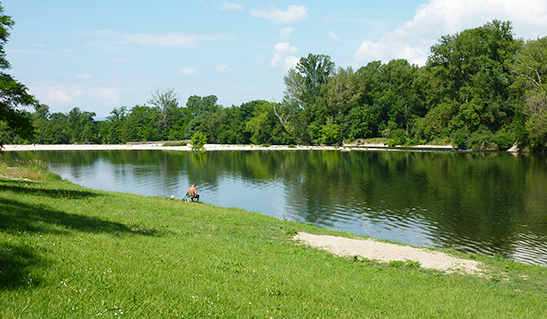 This portion of the Ardèche River isn’t crowded with canoes, so you can happily take full advantage of this natural space and observe its fauna and flora, or enjoy a tranquil fishing session on the shores of the Ardèche (make sure you have a fishing licence, which you can obtain at the Tourism Office and in some tobacconists). Our campsite’s beaches are also perfect for sharing cherished moments in the evening, including during organised gatherings.